We have a great group of autistic adults who mentor our youth and a variety of professionals who generously share their time and expertise. Monthly meetings to explore transition issues, as well as social events in the community, provide opportunities for parents and youth to establish a community of support. Join us as we learn about transition, share our experiences, celebrate our successes and support each other on the journey to independence. Browse our Facebook page for additional information and community events! Job fairs, apprenticeships, career exploration, job shadowing and other employment-related opportunities are listed every week. Check out our Calendar to discover what we have planned. GPS (Guide to Public Services) – Let us guide you to the services you need and even help you through the application process. Whether you are a teen, young adult or the parent of someone on the autism spectrum, we want to help! We can help answer questions about: AHCCCS, Employment, DDD, SNAP Benefits (Food Stamps), Housing, Transportation, SSI/SSDI, Vocational Training, Social Activities, Therapies, Empowerment Scholarships and more! Did you know that AZ ASSIST has a Guide to Public Services Coordinator to answer your questions on transition topics such as SSI, guardianship, VR, housing, and more? This event costs $20 and is for ages 14+, this event is NOT for children. The price includes pizza, soda, shoes, and lane rental! 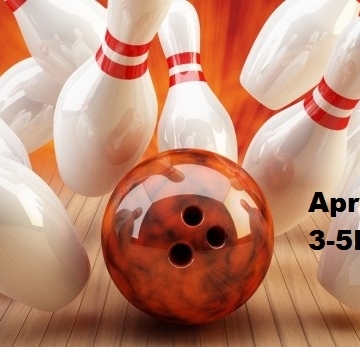 Come and bowl and enjoy making friends! Register before April 20th so we know how many lanes to reserve. No late comers will be accepted. Parents are welcome to drop off their youth and head out for a couple of hours! Join us for our monthly meetings in the East and West Valley, where Teens and Young Adults socialize, play games and hang out. Fee for all teens and young adults is $5.00 – cash preferred. Snacks and drinks are provided. No charge for parents, caregivers, guests and professionals. First-timers: Please download & complete the appropriate Participant Form for each attendee and bring them to the meeting. This presentation will focus on all of the housing opportunities that Moaic and others offer for individuals with autism. Come with your questions and they will do their best to answer them. Don’t miss this the opportunity to hear from Dolores Nolan on transportation options available through Valley Metro. We all know that part of becoming independent is the ability to get places on our own. Come and learn what our loved ones with autism can use here in Arizona.